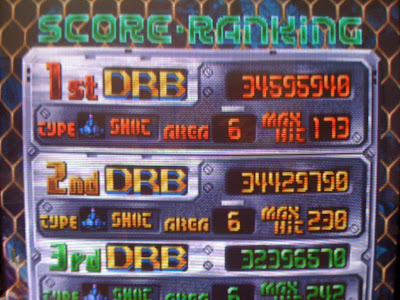 Working for the clear today and haven't made it yet, but did manage to set a new high score at 34,595,940 toward the end of stage 6. Got to the last boss of stage 6 four times this morning on 6 credits and failed to take him out. Most every time, I had an early death or wasted lots of bombs trying to learn some of the tougher patterns and ended up getting to him with only two or three bombs, but no lives. On this run, I actually didn't make it to him, but I did chain all of stage 1 with the chain breaker at the midboss and chained a good portion of stage 2, which I still have trouble with. Each run I've been taking starts as a distance run and as soon as I make a mistake (read: die) I starting playing more aggressive to learn how to best work stages 5 and 6. I can usually do fairly well on the later stages, but consistency is my problem. 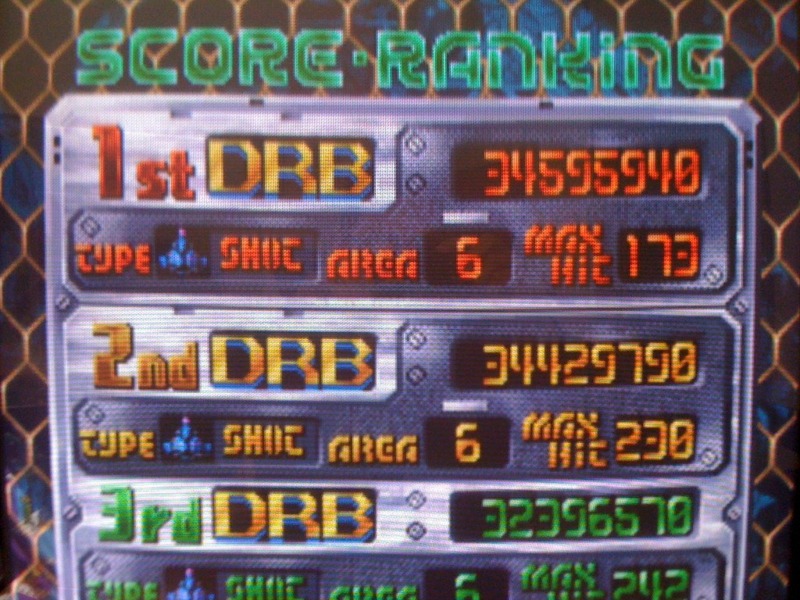 I usually make a few mistakes in each run and I just need to keep practicing those later stages to make the 1CC. Might be! Although, it's pretty good in mame. I would prefer the pcb of course, but ill make due with mame. I do have to say that it has remained one of my favorite games to play for a while now where a lot of other Cave titles have fell by the wayside - Mushihimesama, Esprade and Dangun Feveron to name a few. There's something really classic about the game play and special about how it all comes together. Cave definitely got it right with DDP.